This beautifully illustrated book containing 34 pages tells the story of a child who goes to Lapland along with Mummy and Daddy to see Father Christmas in his workshop to deliver his or her letter. 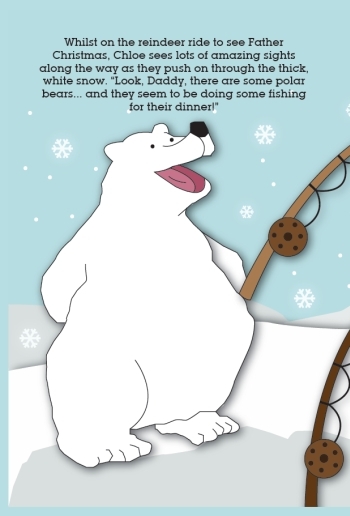 Printed in full colour, this is an ideal gift for younger children in around the 5 - 9 age bracket. The book is personalised with the boy's or girl's name of your choice, which then appears repeatedly through the book. There are fifteen varied puzzle challenges incorporated into the story, making this a truly unique gift. 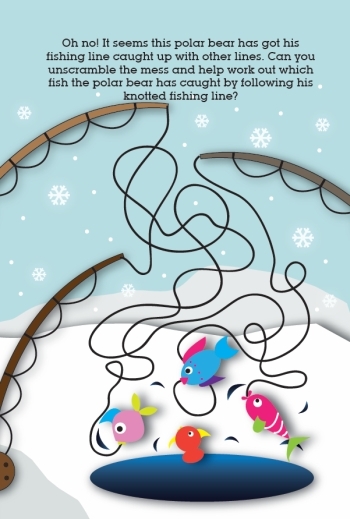 Your child's name will feature on almost every page with an interactive story, requiring the child to solve games and puzzles in order to reach the north pole. Of course, the child's ability to complete the puzzles will never take away from the magical story that features and we are sure they will love following the story and meeting the colourful characters along the way. We have produced this book in a range of popular children's names. 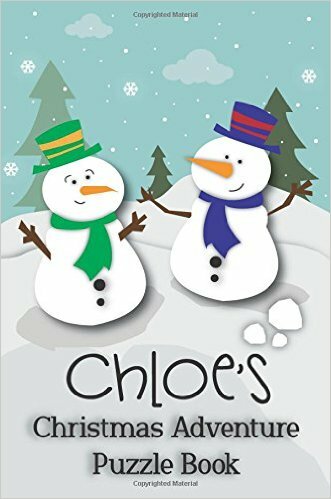 If you can't find the name you're after, we're more than happy to get it created for you.Below is the link to 'Chloe's Christmas Adventure Book' on amazon. To search another name, simply search in amazon for "(your child's name) christmas adventure book".